Are you currently in the unpleasant situation in which you have too many items and too little space to store them? If you are, know that we can lend you a hand with your troubles as we provide comprehensive storage services of the highest standards. All the units are fitted with top quality environmental systems that protect the stored objects from the weather elements. They are also equipped with modern and ultra sensitive alarms that will instantly alter our security staff if someone is trying to break into one of the units. Outdoor units – Most people opt for this type of units when they are planning to store a vehicle that they often use but don’t have a parking spot to leave it while they are not driving it. 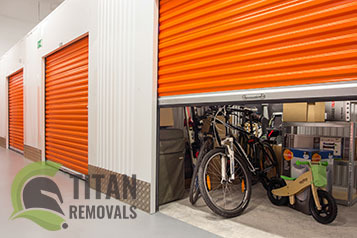 Indoor units – These units are located within the buildings of the storage facility and cannot be used for the storage of large vehicles such as cars, vans, and RVs. However they are the perfect solution for the storage of furniture, art work, office equipment and supplies, personal belongings as they provide full shelter. Portable units – These are small storage units which can be delivered to you at a location of your choosing. By opting to rent this type of unit you will save yourself the road trips to our facility and back. We are open 24/7, so you will have non-stop access to your storage unit. Bear in mind that our units are available at the moment which means that you simply have to call us and demand one or several. However we do require a 7 day notice before you empty and vacate a unit.